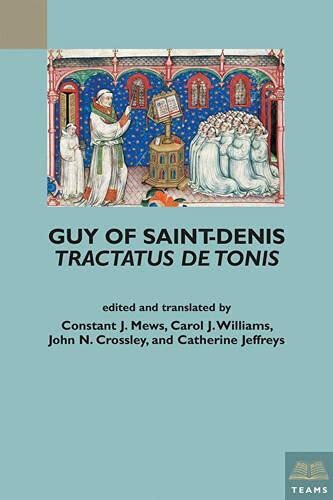 The Tractatus de tonis of Guy of Saint-Denis (written ca. 1300-10) differs from other treatises on plainchant in the depth of its analysis of the various tones into which chant was traditionally classified. Guy's treatise presents itself as a synthetic overview of both the theory and practice of plainchant in a way that combines the practical reflection of Guido of Arezzo with ideas of more Aristoteleian inspired theorists such as Johannes de Grocheio and Peter of Auvergne.